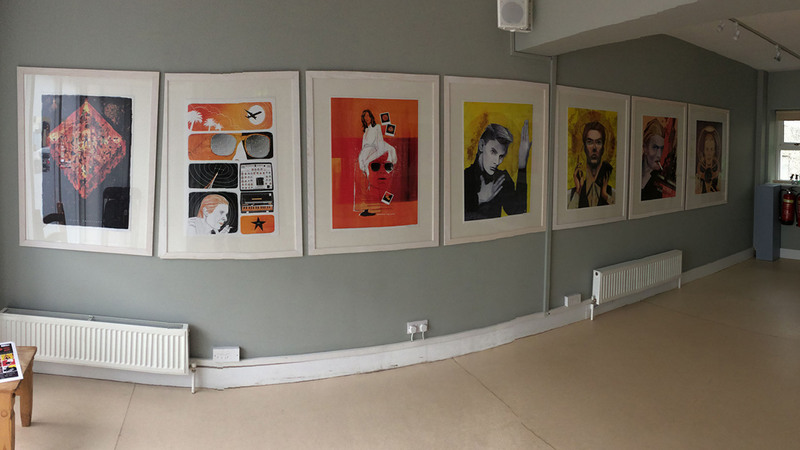 I was asked to take part in the Pin Ups exhibition as part of the Dublin Bowie Festival 2017. 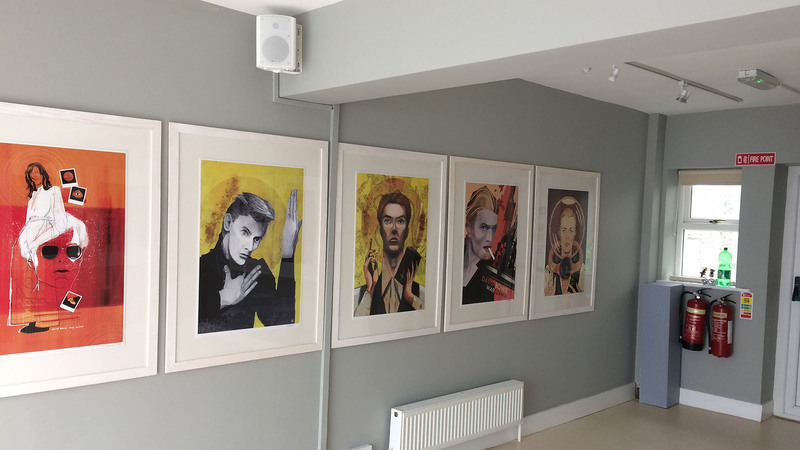 Participants in the Pin Ups exhibition (Dublin Bowie Festival 2017) where asked to illustrate two songs picked by relevant broadcasters and musicians. I got two iconic songs: Heroes and Station to Station. Even though I concieved them as one image, for competition purposes I am only submitting Station to Station. I decided to unify them in a diptych where I would use religious iconography symbology to tell the story behind the songs. Station to Station is cryptic and complex and there are many stories about it: references to astrology, occultism, Aleister Crowley, train travel… I read an interview where Bowie mentioned the song being about his music career being the struggle to get from hit to hit. 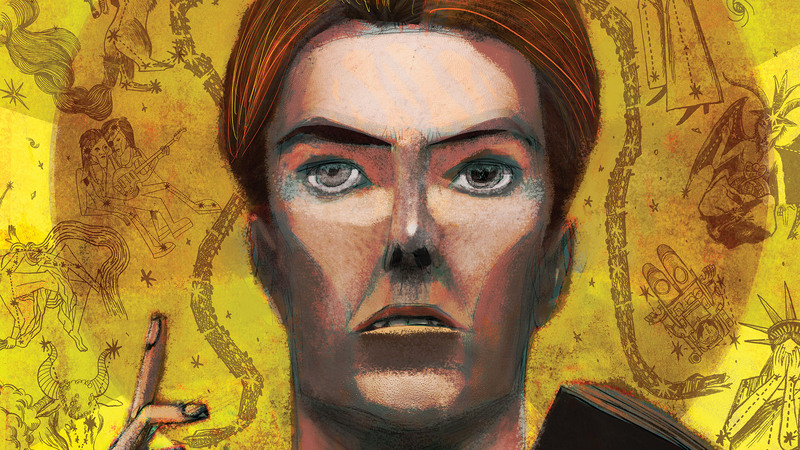 I made a strong central composition of Bowie as a Christ Pantocrator with the journey between songs as the main background feature. Its sister image, Heroes, is the story of the Berlin Wall (Heroes became the unofficial anthem of the German reunification).